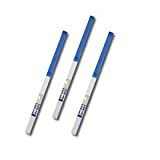 Amazon — I love to use Amazon.com to buy cheap pregnancy tests because they have amazing deals on “no-name” brand pregnancy tests. You can get a set of five paper pregnancy strips for as low as $2.95! If you are not interested in getting a brand-name pregnancy test, Amazon.com is definitely the place to look! 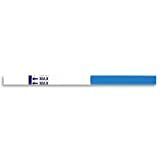 1 Pregnancy Test Strip – $0.99 – thats Cheap! Pack of 5 Pregnancy Tests – Only $2.85 ! Pack of 10 Pregnancy Tests – Only $2.74 ! Drugstore.com – Drugstore.com is also great for cheap pregnancy tests, even better than Amazon in that they offer many NAME BRAND pregnancy tests (like those reviewed on this site) and are usually much cheaper than buying them at the store. (Tip: To find the amazing deals, search for pregnancy tests, then sort by price from lowest to highest. It’s an easy way to see what’s on sale that week!) Definitely worth checking out! Are cheaper tests less reliable or sensitive? All Pregnancy Tests work in the same way – they detect hCG in your urine. The costlier the pregnancy test is more sensitive it is, because it will detect your pregnancy quickly. Some say we only pay for the brand and the sensitivity level is the same with cheap pregnancy tests. It is up to you to decide. If you think you will be taking second test or even more tests soon, costs can add up quickly. In that case it would be wise to go for cheap pregnancy tests in combination with double packages of branded ones.